We stayed here for one night before flying. 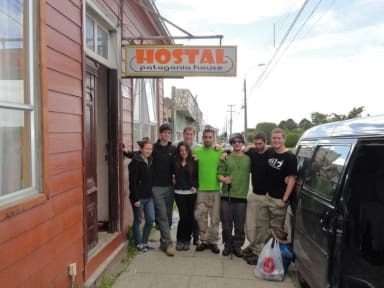 This is a good stop over hostel, they provide a airport shuttle service too. The rooms, bathrooms and kitchen were clean. They had heating so it never got cold in the hostel which was nice as it was cold outside! They had good security to get in and out the hostel. The location was a bit out of the way and not many restaurants nearby, 10mins walk from the big supermarket. We arrived late and left early so this place was fine for a place to sleep between our flight and catching a bus the next morning. Not particularly cosy and a bit cramped so I wouldn't hang out here too long. A good place to spend the night. They arrange a taxi service to airport and the hostel is walking distance from the bus station. Comfortable beds! Fine for a stopover. Not the cleanliest, spotty wifi, NO CREDIT CARDS ACCEPTED. Staff were friendly here. However the hostel could have been cleaner. It stank of cigarette smoke. Check in was very hectic, person checking up in was rude and did not know how much we owed or anything about our reservation, and was not very helpful in the process. He kept talking to other people the whole time and did not really pay attention to us. Then when we asked about getting a taxi to the airport at 8:30, he told us we didn't need one until 9:15, and even after we said we wanted one at 8:30 many times, the taxi was still late the next morning. Beds were comfy though. The staff were unfriendly and a bit rude. They were volunteering but it created a weird and uncomfortable atmosphere. The room we stayed in (10 beds) was dirty and we had no where to put our dry food. For the money we paid I would not recommend staying here. A couple of the employees were lovely. Unfortunately overall this place is gross and not worth the money. See pictures. 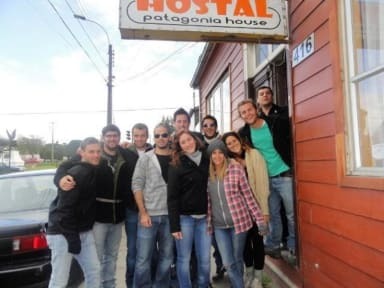 It wasn't a professionally run hostel. Some workers there were really crappy. I couldn't even be provided a proper receipt. It was sketchy to say the least. Go somewhere else...anywhere else. Very dirty. Lad who checked us in was a nice lad. Not a good hostel. I was meant to stay here for 3 nights, but cancelled my booked after just 1. The owner was so rude and I honestly didn’t feel comfortable here at all. One of the ladies working there was really nice, and my bad experience was definitely not her fault.